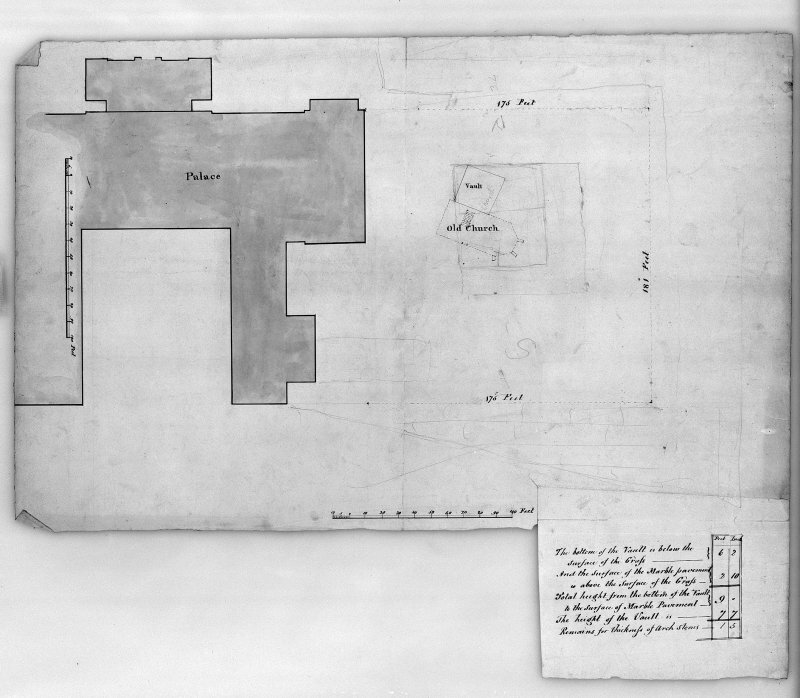 Photographic copy of block plan of original church and part of palace. Photographic copy of elevation drawing. 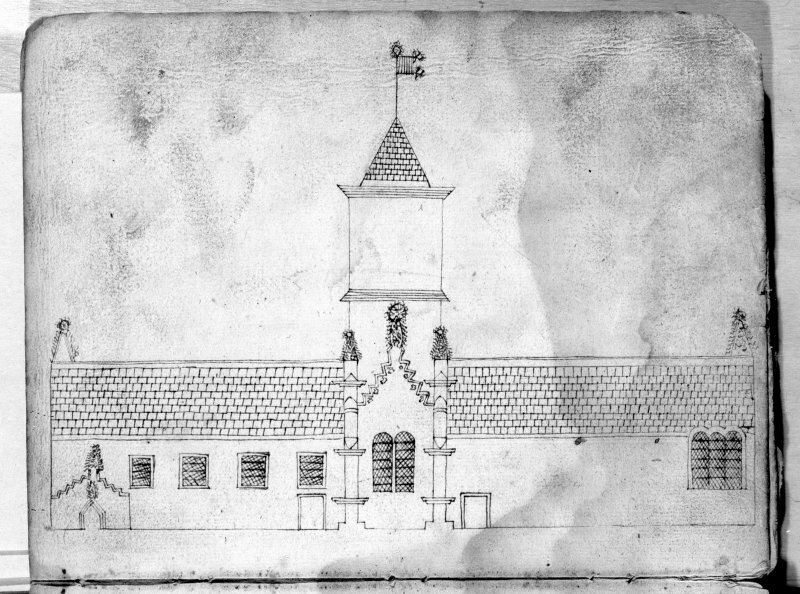 Demolished mostly c 1732. Aisle c. 1840-50. Monument to 3rd Duke of Hamilton removed to St Bride's Church, Bothwell. Architect: Mr J & J Smith 1696 - Douglas Monument (now in ST Bride's Church, Bothwell). Inventory to Hamilton Drawings Lennoxlove - typescript (R6(P31)). National Library of Scotland - MSS of General Hutton No 65 Vol 1 - coloured sketch noted as by Capt. Grose's assistant dated 1747 or 48. 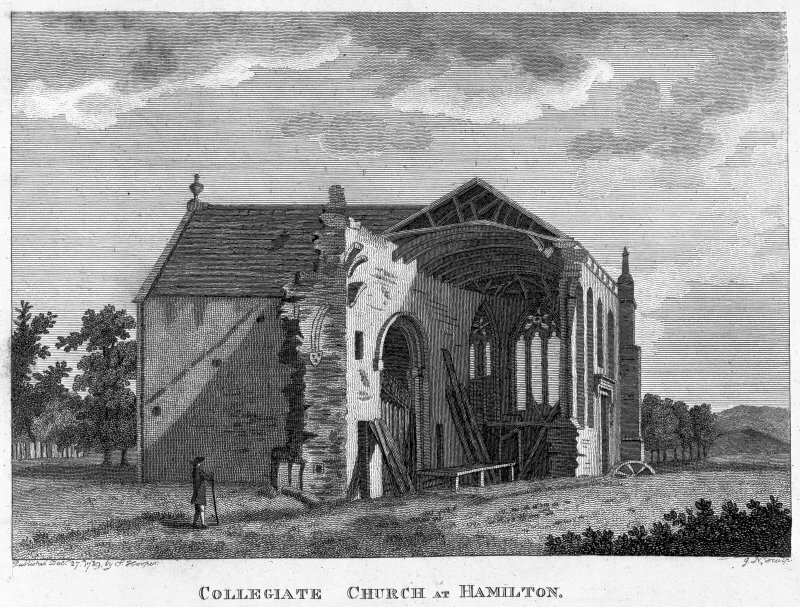 'Hamilton Collegiate Church' is depicted on the OS 2nd Edition map (Lanarkshire, sheet XVII 4, 1936). It has since been demolished. Information from RCAHMS (KD), December 2001.